The Sydney suburb of North Rocks is a great location for its small community vibe and access to beautiful outdoor spots. With scenic walking trails and a diversity of flora and fauna you’ll find at the Bidjigal Reserve, the North Rocks suburb inspires you to love the outdoors even more. It’s therefore a great idea to spruce up your house so that it creates a seamless connection with the outdoors. How to do that? Add a patio, a deck, or a sunroom. Urban Exteriors understands the lifestyle of people in North Rocks so we can easily work with you in creating the outdoor space of your dreams. We are a family-run business and we specialize in designing and building patios, pergolas, sunrooms, and decks. From architectural plans to council approvals to project execution, we work with you closely to make the whole process fast and easy. Getting a patio or pergola? Check out our best-selling design, The Signature Range 2016. If it’s the ‘WOW’ factor you’re after, then this is it. The huge beams, gutters, flashings, and posts deliver a bold statement. We call it best-selling for a reason. Our clients just love it. Check out our page featuring The Signature Range 2016 and be inspired. Does your house have a bare facade? Add a deck and see it transform into something else. You’ll barely recognize it’s the same house. Urban Exteriors are experts at designing and building high quality decks. You want a deck requiring low maintenance? Try aluminium decks. It looks just like timber decks but staining is no longer required. It’s a really great choice! 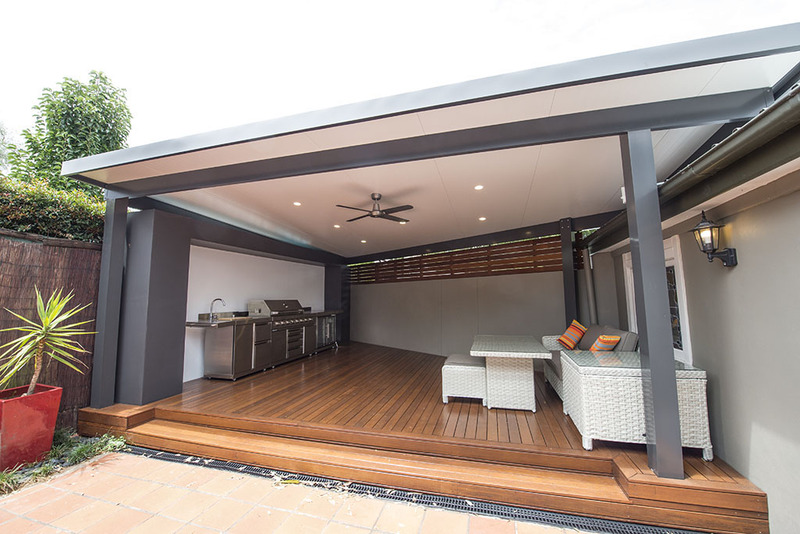 Urban Exteriors have built sunrooms or glass enclosures for many clients across Sydney. If you want one for your home in North Rocks, just talk to us. We will provide you with guidance so you make the right choices. Ultimately, what we want is to build you your dream sunroom. Urban Exteriors are licensed builders and we are experienced sunrooms professionals. Now that you know how we can turn your outdoor area into a magical spot, it’s time for you to make the decision. Call us now. Our design consultants are ready to provide practical advice.